"Thunderclap in the Wilderness" is coming!! 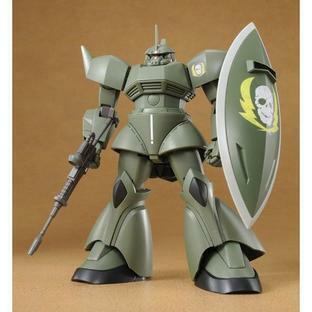 Visch Donahue Custom, appeared by HGUC! 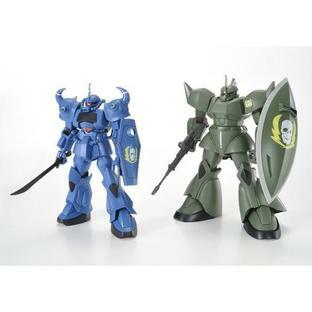 Popular MS which have appeared in many famous games' titles, such as "Mobile Suit Gundam Side Story: At the Site of the Fallen Colony..." and so on, are gradually becoming kits in the Gundam Plastic Model HGUC! The image color is faithfully recreated by plastic color! New characteristic marks are included!! 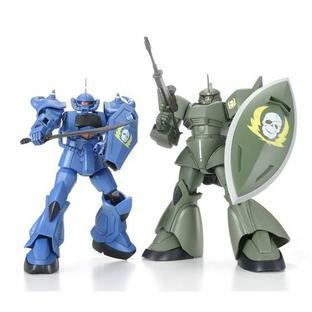 ［Set details］ HGUC 1/144 GOUF (VISCH DONAHUE'S CUSTOM) HGUC 1/144 GELGOOG (VISCH DONAHUE'S CUSTOM) ·Comes with marking seals, including Visch Donahue's personal mark. 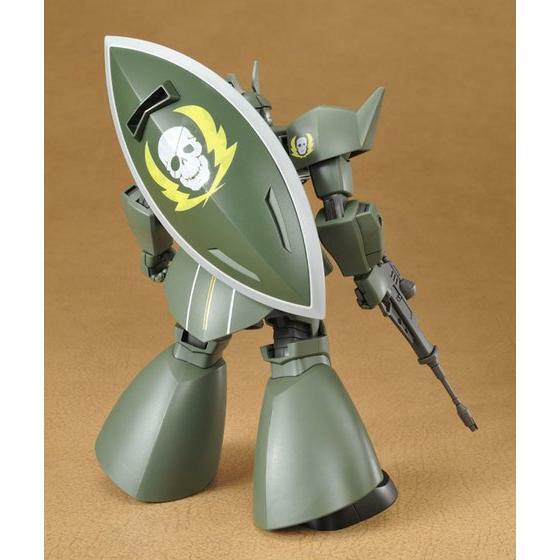 (Such as large shield, use Kind to the Earth Seals whose materials are fit for the curve surface.) 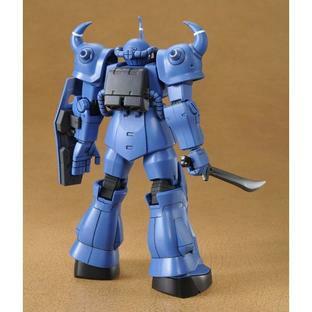 ■Included armament (For GOUF) Heat Saber/Heat Rod/Zaku Machine Gun MMP-78/5-Barrel 75mm Machine Gun/Shield (For GELGOOG) Beam Rifle/Beam Naginata/Shield ----------------------------------------------------------------------------------- 1/144 scale assembling plastic model For ages 8 and up. 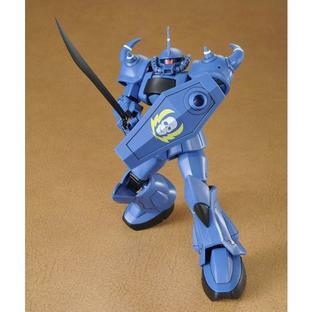 Primary materials: PS・PE・ABS ・No adhesives required for assembly ----------------------------------------------------------------------------------- *The product in the picture is painted and is a prototype in development. Actual product may differ from image. 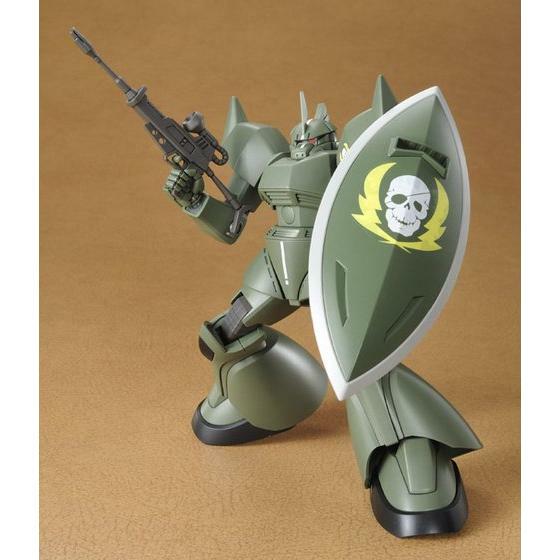 (Notes) ・This product cannot be found in model kits shops. ・This product may be on sale in events or other projects held by our company. ・Only a limited number of this product is available at 'PREMIUM BANDAI'. We apologize if we are out of stock on this product. ・Please note that for this product, due to the number of produced units, we are limiting the quantity available in each order. 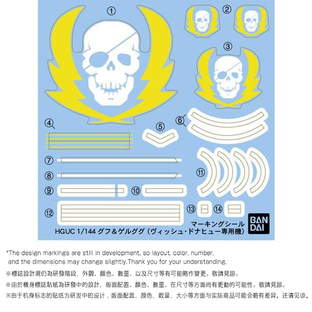 ・For this product, the shipping date is subject to change in some cases depending on application status and production circumstances, Thank you for your understanding. ・Product images are in development stage. They may differ from the actual products. 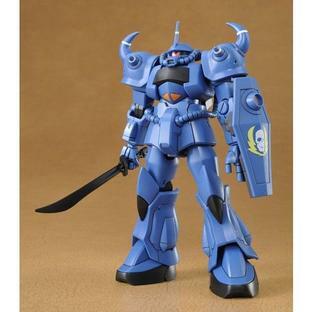 ・The product specifications are current as of December 2012. We ask for your understanding as they may be subject to change.